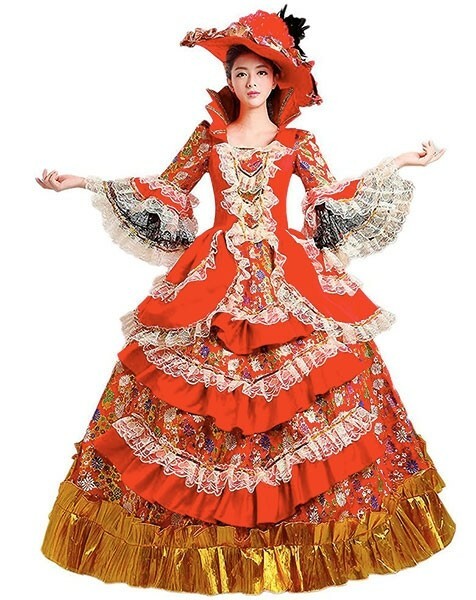 When it's time for the masquerade ball, these dresses will really steal the show! 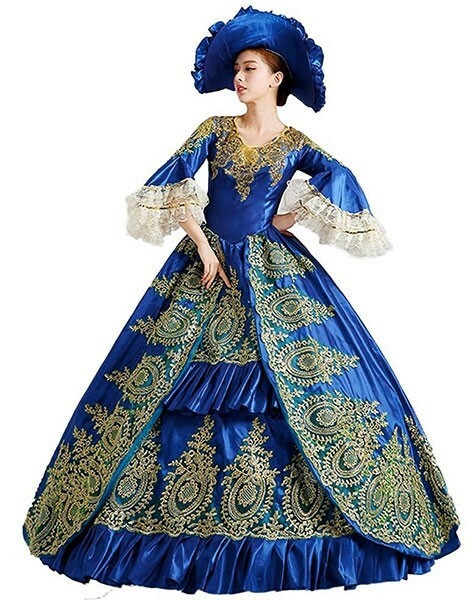 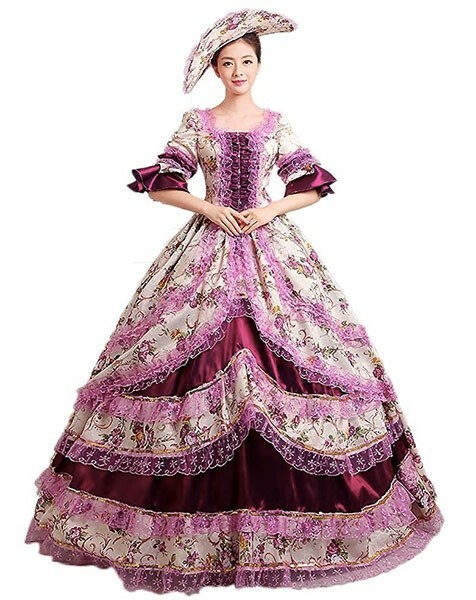 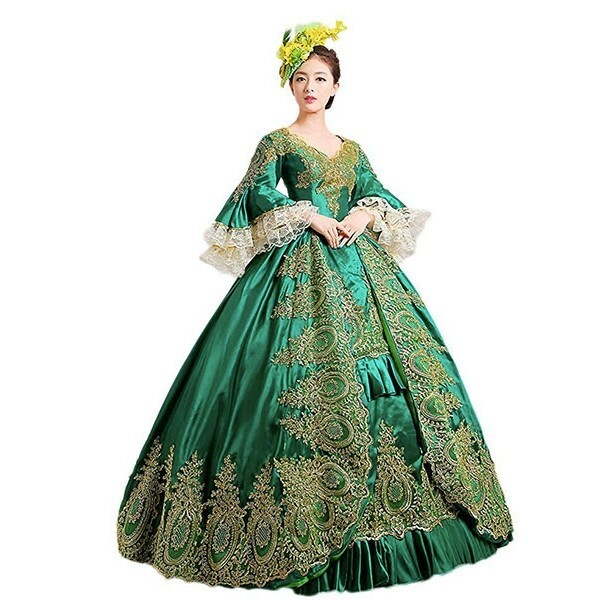 These elaborately decorated gowns from Zukzi offer a wide variety of colors and styles to choose from, and can be worn with or without a petticoat (not included.) 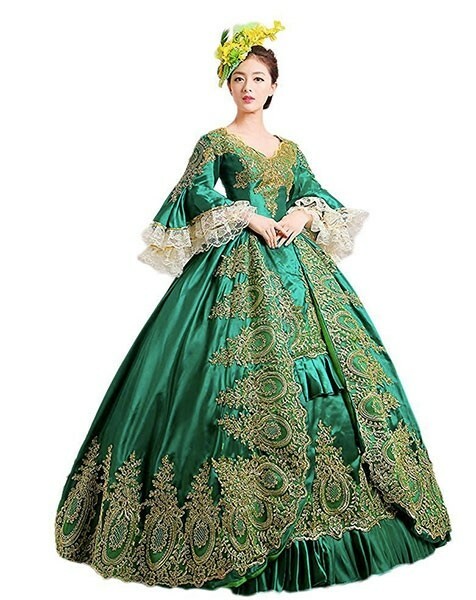 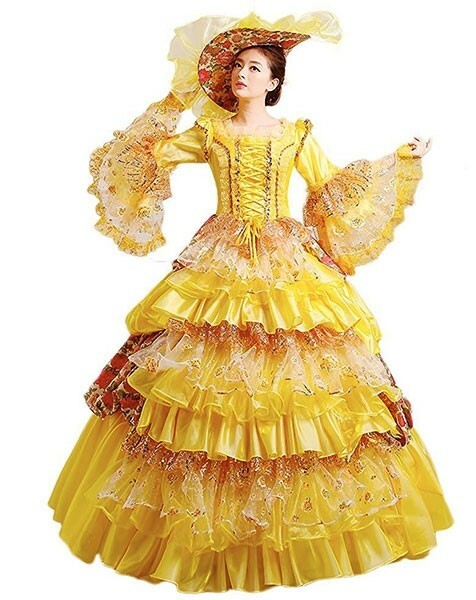 These dresses are available in US sizes 0 to 18, but the manufacturer can also arrange for a costume to be made-to-measure if the pre-made sizing doesn't suit.